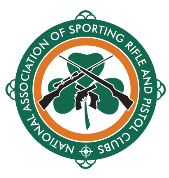 The WA1500 association of Ireland and Target Shotgun will be holding an NASRPC accredited shoot at Munster Target Shooting Club on Sunday, 16th September. These matches will be sanctioned for NASRPC leaderboard and team selection etc. in their respective categories. These are Open competions, but please ensure that you have insurance and firearms certificates available for inspection by RSOs on the day.